Renowned Food Historian to Speak at Willamette! 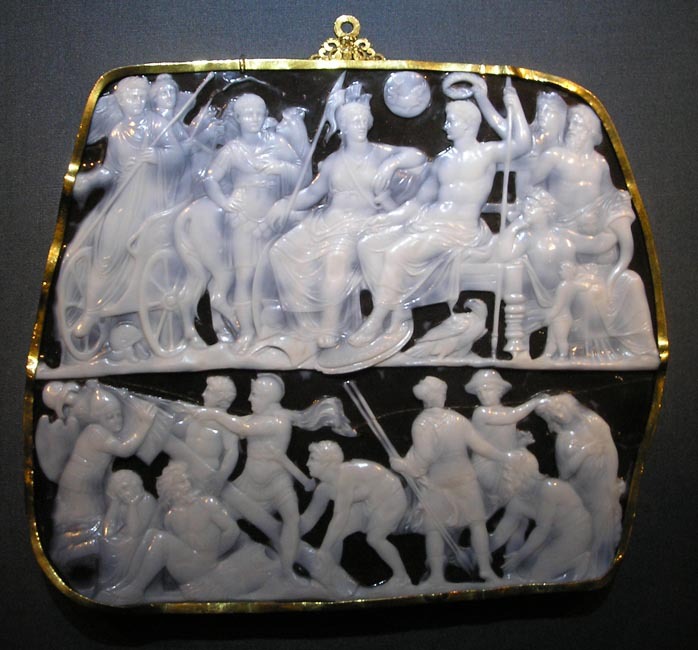 “When in Rome……” Find out how the Romans did! Come to this FREE lecture by a renowned food historian and learn about ancient etiquette! SALEM, Ore. —As part of the 41st Annual Meeting of the Classical Association of the Pacific Northwest and in partnership with Willamette University’s Center for Ancient Studies and Archaeology, British classicist and noted food historian Andrew Dalby will present “Dining with Augustus: The Roman Princeps as Host and Guest,” on March 9 at 7:30 p.m. in the College of Law’s Paulus Lecture Hall. Dalby’s free talk will focus on the Roman arts of entertainment as practiced by Augustus – host, patron and consummate politician. The Classical Association of the Pacific Northwest meets on campus March 9-10, bringing together scholars of classical languages and civilizations. Non-members may join CAPN and register by March 1 for the annual meeting, which features 28 presentations by participants from 20 universities and a tour of ancient art collections at the Hallie Ford Museum of Art. For membership, registration and a preliminary program, visit historyforkids.org/CAPN/2012/2012registration.htm. Andrew Dalby earned his doctorate at Birkbeck College, London, and has written 18 books, including “Siren Feasts: A History of Food and Gastronomy in Greece,” “Empire of Pleasures: Luxury and Indulgence in the Roman World,” “Dangerous Tastes: The Story of Spices,” “Flavours of Byzantium,” “Food in the Ancient World from A to Z,” “Rediscovering Homer,” “Cheese: A Global History.” Books will be available for sale at the meeting. The Classical Association of the Pacific Northwest is one of the oldest academic organizations in the Pacific Northwest. It was founded on June 6, 1911, at a meeting at the Portland Academy in Portland, Ore. With members mainly from the United States and Canada, the association holds an annual two-day meeting and publishes a bulletin twice yearly. Ann M. Nicgorski, Willamette University Professor of Art History and Archaeology, is the association’s current president.